That’s one of the findings from a worldwide survey on anti-Semitism. A MAJOR GLOBAL survey out carried out by a Jewish organisation has found that 20 per cent of Irish adults hold anti-Semitic attitudes. The Anti-Defamation League’s ADL Global 100 survey gave over 53,000 adults in 102 countries worldwide a selection of negative Jewish stereotypes and recorded how many people described the statements as ‘probably true’. The statements included stereotypes such as, ‘Jews have too much power in the business world’, ‘Jews still talk too much about what happened to them in the Holocaust’ and ‘Jews think they are better than other people. The survey found that 20 per cent the Irish people surveyed answered ‘probably true’ on the majority of statements that were put to them. The survey ranks Ireland as roughly in the middle in comparison with other countries in Western Europe. Greece is the most anti-Semitic country in Western Europe according to the ADL, with over two-thirds harbouring such attitudes. Sweden is the least so at 4 per cent of those surveyed, with the UK also scoring low at 8 per cent. The negative statement to which most Irish people agreed was ’Jews are more loyal to Israel than to their home country’ with 52 per cent of Irish people answering ‘probably true’ to that statement. 30 per cent of Irish people surveyed agreed that ’Jews still talk too much about what happened to them in the Holocaust’ and 28 per cent said ‘Jews have too much power in the business world’. Worldwide, they survey found that one-in-four adults hold anti-Semitic views. English speaking countries are the least anti-Semitic with an average ranking of 13 per cent. 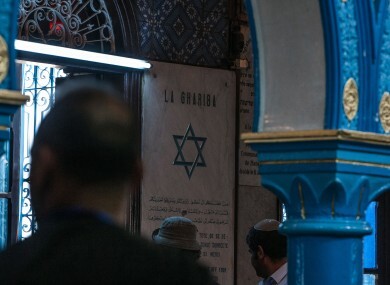 As a religion, 49 per cent of Muslims surveyed worldwide were found to have anti-Semitic views. The ADL ranked the West-Bank and Gaza and Iraq as the countries with the most anti-Semitic with Greece being the highest outside of the Middle-East. The Anti-Defamation League is an New York based organisation that was founded over 100 years ago to guard against anti-Semitism. The ADL’s support has frequently been courted by US politicians as part of electioneering but has been criticised by some for using bullyboy tactics against opponents, in particular labelling criticism of Israeli policy as ant-Semitic. Details of and methodology for the global survey can be viewed here. Email “30% of Irish people 'think Jews talk too much about the Holocaust'”. Feedback on “30% of Irish people 'think Jews talk too much about the Holocaust'”.